Laura Maniec of New York City's new Corkbuzz wine bar is such a Champagne fiend that she spent three weeks there last harvest, working in the vineyards and getting to know the regionits wineries, shops, restaurants and even the local bowling alley all the pickers frequent. "This wine shop and wine bar is in the town of Troyes. It’s one of those exciting spots where you wonder, How do they have all of these wines just sitting on the shelf? 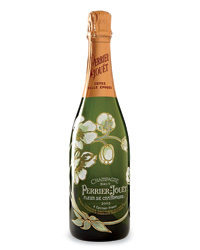 It’s all the best Champagnes, like Vouette et Sorbée and Jacques Selosse. You can buy a bottle to go or pay a $5 corkage fee to drink it there with lunch or dinner. I get big salads and ham and drink Champagne." "This is one of the only wine bars in Épernay. You go downstairs and pick out a bottle to drink with small plates, like foie gras with toast, or you can buy the wine to take with you. I was like a kid in a candy store. There were amazing deals there, and really good bottles, like Demière Ansiot, that cost only $25. It even has Champagne for $19! 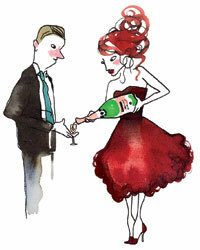 You’d never be able to find a bottle of Champagne for that in New York." Back to top Photo courtesy of Les Crayeres. "If money were no object, I’d stay at Les Crayères in Reims. It has only 20 rooms and a garden that feels like another world. Plus, its restaurant has about 300 Champagnes." Winemaker Anselme Selosse partnered with renowned architect Bruno Borrione to renovate this 1820s neoclassical building, now a sleek 10-room hotel and restaurant. 59 rue de Cramant; selosse-lesavises.com. Champagne producer René Goutorbe runs this elegantly renovated 17-room hotel, which features an indoor pool and frequent tastings with the winemaker host. 24 rue Jeanson; casteljeanson.fr. Guests at this regal hotel in Épernay can taste Champagne in the glass-ceilinged “winter garden” during cold weather, or drink it by the glass at C. Comme, a spectacular wine bar specializing in small producers. 7 rue Jean Moët; hoteljeanmoet.com. "I recommend just driving through all the major villages to see the differences in them—Cramant, Bouzy, Ambonnay. Then, the bigger houses like Ruinart and Roederer are very visitor-friendly. And Pol Roger has a good tour through its gorgeous cave, which has an incredible lighting system." 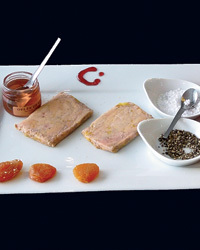 "Les Délices Champenoises in Reims gives great recommendations. I found Paul Clouet, a producer from Bouzy, there." NV Jean Laurent Blanc de Noirs Brut ($55) Juicy and lively, it’s an excellent brut made by a family that has been growing grapes in the Aube for more than 1,000 years. NV Dosnon & Lepage Récolte Rosé Brut ($57) This bright-berried rosé is aged in Puligny-Montrachet barrels, giving it a richer texture. NV Fleury Fleur de L’Europe Brut ($63) At once earthy and toasty, this mostly Pinot Noir brut is made using biodynamically grown fruit. 2007 Marie Courtin Efflorescence Extra Brut ($80) All of Dominique Moreau’s wines are single-variety, like this creamy Pinot Noir–based bottling. Fun Fact: Nearly a quarter of Champagne’s vineyards are in the Aube. While it has similar soil to nearby Chablis, which produces Chardonnay, it’s a great source for Pinot Noir.